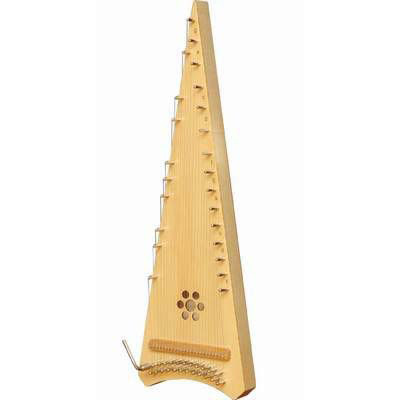 This beautifully made stringed instrument from Romania has it's origins in the 11th Century. It has 30 steel strings from C4 to F6 which are played with bow provided. On the right side you find the diatonic scale (C-D-E-F-G-A-B-C) and on the left side the sharp notes. It is also available in Soprano and Alto versions. Please ask for further details.